Ever since my daughter started attending daycare, I have dreaded the cold & flu season. Last year we were sick A LOT. In fact I think we were probably sick more weeks during the winter than we were healthy. What makes it worse, of course, is that there aren’t many options for giving young toddlers relief from their symptoms. 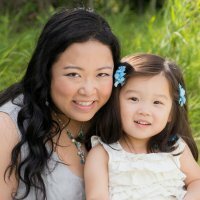 I had heard of Boiron from my naturopathic doctor, when she recommended a product for my teething infant (those teething days were pretty awful, so I was happy to try whatever I could!). It was hard for me to make a judgement about whether it really helped my baby’s teething pain, but I did try it several times as it was easy to administer. 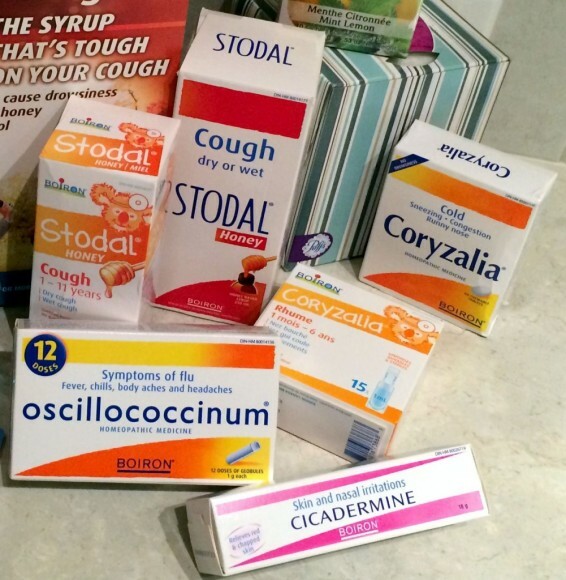 When I found out that Boiron also has many cold and flu remedies available, both for children and for adults, I was eager to try them as well. Boiron is a company based out of France that makes homeopathic medicines. It was started in 1967, and opened Boiron Canada in 1988, so it is a company with a long history in homeopathy. In case you’re unfamiliar with homeopathy, here’s a very brief tutorial. Homeopathic medicines are not like traditional medicines that kill bacteria (like antibiotics), or mask symptoms (like antihistamines or decongestants). Rather, the natural substances in homeopathic medicines (derived from plant, mineral, and animal sources) are prepared in very small doses designed to stimulate and support your body’s own defense and healing systems. Because every body is different, every body will respond differently to the same homeopathic medicine. How your body responds depends on the amount of resonance between your body and the particular substances in the medicine. Many medical doctors will disregard homeopathic medicines because they aren’t able to predict whether they will “work” for every person. The only way to find out if it will “work”, or resonate, with your body or your child’s body is to try it. My 3-year-old daughter got a run-of-the-mill cold, likely from daycare, where she was super congested, snotty, and sneezing. 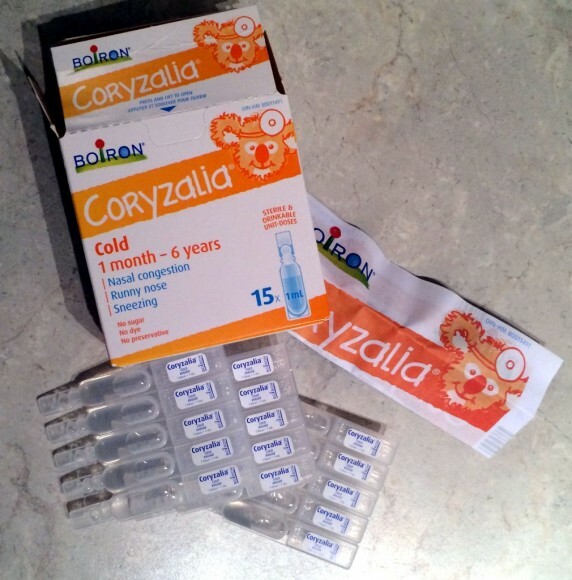 So I decided to give Boiron’s Coryzalia (for kids aged 1 month to 6 years) a try. The box contains individual doses that are really easy to use – you separate one dose out, twist the top, and squeeze the liquid out. The medicine is odourless, colourless, and tasteless, so it was really easy for me to put into my daughter’s juice or yogurt, and she had no problems getting it all in. I followed the directions and gave her 3 doses/day for 2 days, beginning on day 5 of her cold (when we received the product). After 6 doses (using it for 2 days), her congestion had pretty much cleared up. She was 1 week into her cold by then, so I’m sure there was some natural improvement through the progression of the cold, but it may be that the Coryzalia helped her body clear it out a little quicker. A few weeks later, my husband got a cough – the kind where your throat feels tickly and you have to keep coughing every few minutes. Not painful, but annoying (especially when your wife is trying to sleep! ), so I gave him some of the Stodal cough syrup to take (it is available in a formula for adults, as well as a separate formula for children). As it is honey-based, he said it just tasted like honey, so it wasn’t difficult to swallow. He reported that it helped to soothe the “tickle” in his throat so that he didn’t have to keep coughing incessantly. However he did feel that it didn’t work as powerfully for him as Halls cough drops do. This may be due to a lot of things, the biggest factor being how well his body ‘resonated’ with the ingredients in the Stodal cough syrup. 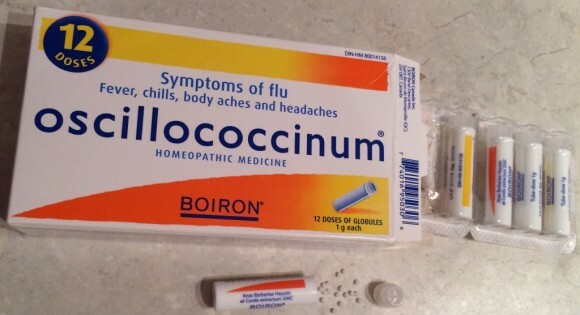 For me, I started to feel a headache and run down a few days ago, so decided to try the oscillococcinum for flu symptoms. Each dose is in a little capsule, and consists of tiny pellets that you put in your mouth to let them dissolve (I took my pellet in 3 shots to make sure they all dissolved and I didn’t crunch any of them). I did take some Tylenol for the headaches as well (I do get frequent tension headaches and migraines so pain management of headaches is a tough area for me), but noticed after 1 dose of the oscillococcinum and a good night of sleep, I didn’t have the headache anymore. So far it seems like whatever bug I might have been getting has not progressed. It may be that taking that first dose as soon as I started feeling a bit off helped my body to perk up its defenses and ward it off. Of the Boiron products my family has tried, it’s difficult to say for certain that we noticed huge improvements. However I must emphasize again that homeopathic medicines will work differently for every person. As a natural alternative to conventional over-the-counter drugs, Boiron products are definitely worth a try, especially if you’re concerned about reducing your exposure, or your children’s exposure, to commonly used drugs. Disclosure: Boiron provided a sample of their products to write this review. No other compensation was received, and the opinions in this review are entirely the author’s. Camilia was a life saver for us and worked like a charm. Coryzalia is good, but as with most such remedies there is no miracle instant relief. And, of cause, it only treats symptoms. Still, it’s better than anything else we could find. Happy to hear the Camilia worked well for you for the teething! I totally agree with you, these are really meant for making the symptoms more tolerable, which is all you can really ask for when you’re dealing with teething or viruses. It’s nice to hear other positive experiences!